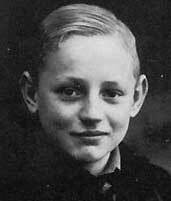 Erich Hartmann "the Blonde Knight of Germany" was born on April 19th 1922 in Weissach near Wuerttemberg Germany. His mother was a licensed pilot and his father was a respected physician who had been an Army Doctor in the First War. He wanted both his sons to follow him into medicine but it was Erich's younger brother Alfred (ww2 stuka gunner and POW) who would become a doctor after the war. In the twenty's the german economy, suffering under the Treaty of Versailles, was not the best so Erich's father's cousin, who was a diplomat in China, invited the family to move there. 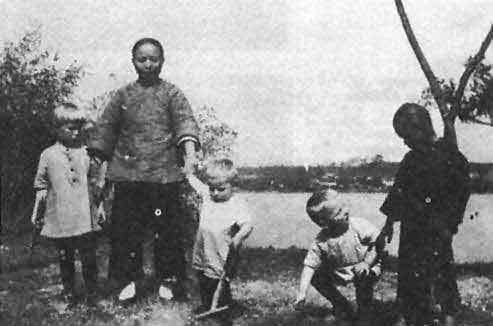 Dad went first, establishing his practice in Changsha Province and getting things ready for the rest of the Hartmann family that was soon to follow. Erich's father bought an island in the middle of the Xiang River and on it, had a beautiful house built. They enjoyed many happy times there and Hartmann, later in life, would often think back to those care-free days. He cherished those memories for the rest of his life. The political climate in China was worsening however, and it wasn't long before things started getting bad for foreigners. One morning while making his way to town, Dr. Hartmann found the heads of several of his English friends stuck on fence posts along the side of the road. As one might imagine, his wife and kids were quickly packed up, sent back to Germany, and relocated to Stuttgart where they lived until the outbreak of the war. Erich knew early on that he wanted to fly and reading about the glory of the Aces in the First War fueled his desire to follow in their footsteps. Mrs. Hartmann, an avid flyer, loved to take her children up and teach them things. She taught him to fly gliders first and by 14 he had his glider pilots licence. 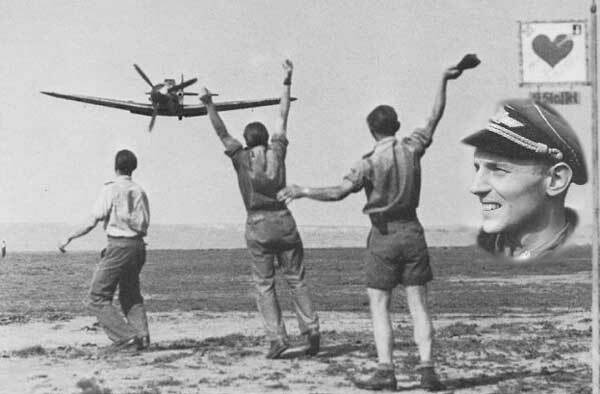 He flew every chance he could and by 15 he was a glider instructor in the Hitler Youth. Hartmann started military flight training in East Prussia, October 1940. This lasted until January 1942 when he went to Zerbst-Anhalt. He graduated as a leutnant in March of 1942. Then it was off to Advanced Aerial Gunnery School where he got into a little trouble. "I was showing off, buzzing the airfield and was sentenced to house arrest. Ironically my roommate flew the same aircraft I had been in and it developed a technical problem, and he was killed in the crash. That was ironic." "Dieter was a very understanding yet disciplined commander, and his experience showed. He taught us how not just to fly and fight, but how to work as a team and stay alive. That was his greatest gift. He was very open to discussing his own mistakes, and how he learned from them, hoping we would learn also. Hrabak assigned me to 7/III/JG-52 under Major Hubertus von Bonin, an old eagle from the Spanish Civil War and Battle of Britain. We learned a lot from him also. 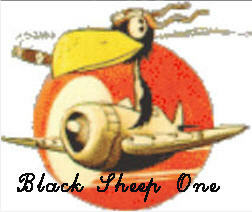 My first mission was on 14 October 1942. Rossmann and I were in our flight, and Rossmann radioed that he spotted ten enemy aircraft below us. We were at 12,000 feet and the enemy was far below us. I could see nothing but followed Rossmann down, then we came on them. I knew that I had to get my first kill, so I went full throttle and left Rossmann to shoot at a plane. My shots missed and I almost collided into him and had to pull up. Suddenly I was surrounded by the Soviets and I headed for low cloud cover to escape. All along Rossmann kept talking to me, and I had a low fuel warning. Then the engine went dead and I bellied in, destroying my fighter. I knew I was in trouble. I had violated every commandment a fighter pilot lives by, and I expected to be thrown out. I was sentenced by von Bonin to three days of working with the ground crews. It gave me time to think about what I had done. What I learned from Rossmann and later Krupinski I later taught to new pilots when I became a leader." Twenty two days later, on his 19th combat mission, he would get his first kill. "That was a day I will never forget, 5 November 1942, a Shturmovik IL-2, which was the toughest aircraft to bring down because of the heavy armor plate. You had to shoot out the oil cooler underneath, otherwise it would not go down. That was also the day of my second forced landing since I had flown into the debris of my kill. I learned two things that day; get in close and shoot and break away immediately after scoring the kill. The next kill came in February the following year. This was when Krupinski came to Taman and was my new squadron leader. The day he arrived he came in, introduced himself, demanded a plane, went up, was shot down, and brought back by car. He then took another, scored two kills and returned, then wanted dinner. The whole event was treated as casually as a card game." The first time they actualy met was quite different however: "I was being addressed by my new Wing Commander (Hrabak) when a fighter came in smoking, and suddenly landed, flipped over and exploded. We knew the pilot was dead. One of the men said that ‘it is Krupinski’, and out of the blinding smoke this man walked out of the wreckage with a singed uniform, but no other damage. He was smiling and complained about the flak over the Caucasus, but without any real surprise on his face. This was my first meeting with “The Count”." III./JG 52's commander, Major Hubertus von Bonin, placed Hartmann under Oberfeldwebel Grislawski's wings. The miner's son Alfred Grislawski found a particular pleasure in teaching this newcomer the name of the game. He made a few mock combats with Hartmann. This relieved Hartmann of some of his ambitious ideas, but Grislawski had to admit that although Hartmann had much to learn regarding combat tactics, he actually was a quite talented pilot. The trouble started when they started flying combat missions together. Grislawski immediately noted that the newcomer was one of those who thought they were going to "shoot together a Knight's Cross" in no time. Hartmann barely had started to leave his place behind Grislawski's aircraft to direct his Bf 109 against an I-16, when his earphones seemed to explode: "You bloody idiot! What the hell do you think you're doing? I'm your leader! Get back in place or I'll shoot you down!" Grislawski kept cursing over the R/T all the way back to base, and when they had landed, the Oberfeldwebel gave the Leutnant a dressing down that he would never forget. Then, in front of the sweating Hartmann, Grislawski turned to his friend "Paule" Rossmann and said: "Oh man, this is too much! What a baby they have sent us! Just look at his face - like a cute little boy!" From then on, Grislawski never addressed Hartmann as anything but Bubi, "little boy". Hartmann proved to be extremely individualistic, and von Bonin definitely knew what he was doing when he assigned a vigorous and harsh worker's son like Alfred Grislawski as his teacher. The men at Soldatskaya used to gather around the radio equipment and listen to the R/T communication with amusement when Grislawski and Hartmann were out on combat missions. "Are you so anxious to die, Bubi?" "Don't you 'sir' me, look after your tail instead!" "I'll nail you for this, Bubi!" "Your mother will be sorry!" Gunther Rall soon replaced von Bonin as Gruppenkommandeur and in August 1943 he made Hartmann Kommandeur of the 9th Squadron which had been Herman Graf's command. He often flew as Krupinski's wingman and their partnership was a little uneasy at first. They both had strengths and weaknesses but eventually they found that they worked well together. "Besides," said Hartmann, "I had to make sure that he came home due to his many girlfriends always waiting on him to come down. I won the Iron Cross 2nd Class while flying with ‘Krupi’. The one thing I learned from him was that the worst thing to do was to lose a wingman. Kills were less important than survival. I only lost one wingman, Gunther Capito, a former bomber pilot, but this was due to his inexperience with fighters, but he survived." In August '43 the Russians were attacking in the area and Dieter Hrabak gave the orders to support Hans Rudel and his Stukas in a counter attack. Then things changed. The Russians began bombing German ground positions in support of their offensive and Hartmann and his flight of 8 fighters was sent to attack them. About 40 Yaks and Laggs were supporting another 40 or so Sturmoviks that were busy striking ground targets. Hartmann shot down 2 before his plane was hit by "something" and he was forced to make an emergency landing. As Soviet ground troops approached the plane, Hartmann faked that he was injured. The Soviet soldiers took him to their HQ and his acting won over the doctor there as well. They put him on a stretcher and packed him into the back of a captured German truck. Waiting for the opportune moment Hartmann jumped the single gaurd just as Stukas began an attack. He jumped out the back and ran like hell. He found a large field of giant sunflowers and tried to lose the pursuing soldiers who were all the while firing wildly in his direction. He made it to a small village occupied by Russians and decided to to go back where he had been and wait for nightfall. 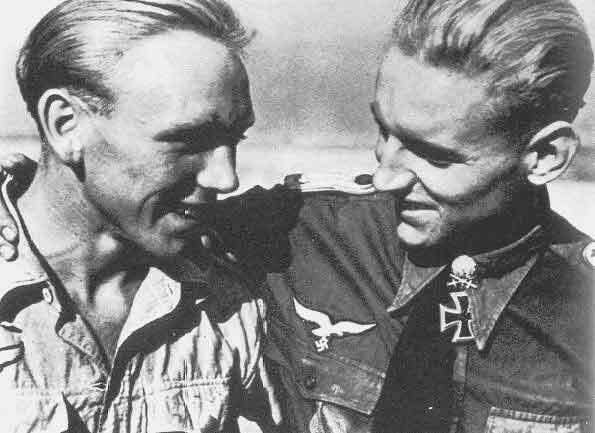 Meanwhile, back at base, Hartmann's best friend and Crew Chief Heinz "Bimmel" Mertens, wasn't about to let his Pal "Bubi" fall into the hands of the enemy! He grabbed a rifle and some water and went to find his friend. "my closest relationship was with Heinz Mertens, my crew chief. You rely upon your wing men to cover you in the air, and your team mates in aerial battle, but the man who keeps your machine flying and safe is the most important man you know. We became best of friends, and none of my success would have been possible if not for Mertens." Hartmann reached his spot and took a nap. When he awoke, he headed west. He passed a patrol of Russian soldiers and decided to follow them. Soon they moved over a small hill and a firefight erupted. Moments later the Russians came running back over the rise and Erich knew he was close to safety ... or so he thought. As he approached the German position the sentry challenged him and quickly shot a hole in his pants. Erich was understandably upset but was told later that a group of Russian soldiers had previously entered their perimeter speaking fluent German and claiming to be escaped POW's. They had pulled out Tommy guns and killed some men before being killed themselves. After being interrogated (his ID had been taken by his captors) he was told to prepare for contact. Just then, another group of Russians came stumbling towards their trenches. When they came within 20 meters the leutnant gave the order to fire. They were all killed (Maybe their Moms forgot to warn 'em about drinking on the front lines). Soon the Infantry commander contacted Hrabak, confirmed that Hartmann was who he said he was, and sent him back to his base by car. He was met by Krupinski who had just been released from the hospital. That's when he found out that "Bimmel" had taken off with a rifle to find him. The next day Mertens came back and they had themselves one hell of a birthday party. What's a "birthday party"? "That is a party that is thrown in honor of a pilot who survived a situation that should have killed him. We had a lot of those."